Daily Care Face Wash now has EcoCert certification. As a result, regular users will notice a natural change in the Face Wash colour. Please be assured that this change does not affect product performance. Follow with Blissful Daily Moisturiser (for normal skin types) or Super-Intensive Daily Moisturiser (for dry or mature skin types). Aqua (Water), Aloe Barbadensis Leaf Juice, Sodium Coco-Sulfate, Cocamidopropyl Betaine, Glycerin, Decyl Glucoside, Coco-Glucoside, Sodium Chloride, Benzyl Alcohol, Potassium Sorbate, Sodium Benzoate, Sodium Lauryl Glucose Carboxylate, Sucrose Laurate, Lauryl Glucoside, Pelargonium Graveolens Flower Oil, Pelargonium Graveolens Oil, Alcohol Denat., Citric Acid, Tocopherol, Citronellol, Dehydroacetic Acid, Geraniol, Sorbic Acid. Organic Surge does a number of really great products. I like the face wash, although I found it a bit drying on some areas of my face, despite it being SLS-free. If you get a chance, try their First Class mask too. 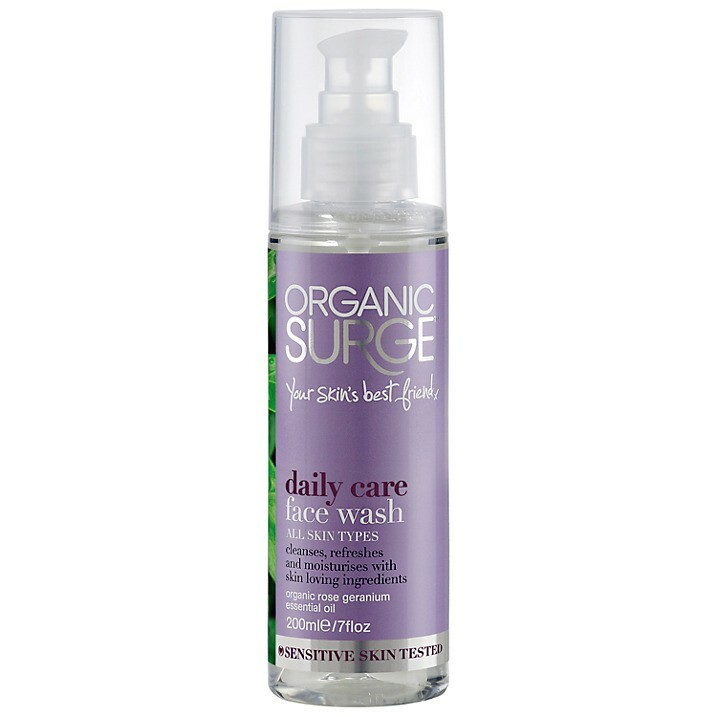 This was the first Organic Surge product I used and have continued to use. It has a pump dispenser so it's easy to dispense the right amount - between 1 and 2 pumps is enough. Usually with natural, chemical free face washes the texture can be quite thin, and doesn't lather, but this is luxuriously thick and lathers up well. It also smells absolutely divine, without being too overpowering. After using it my face felt clean and soft - there was absolutely no dryness or tightness at all. I am head over heels in love with this! It's a great product at a reasonable price...I've used more expensive natural brands and this is by far the best. 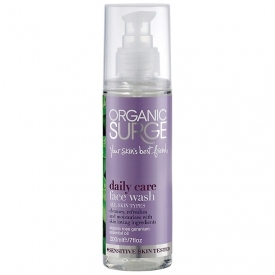 "Organic Surge does a number of really great products. I like the face wash, although I found it a bit drying on some areas of..."